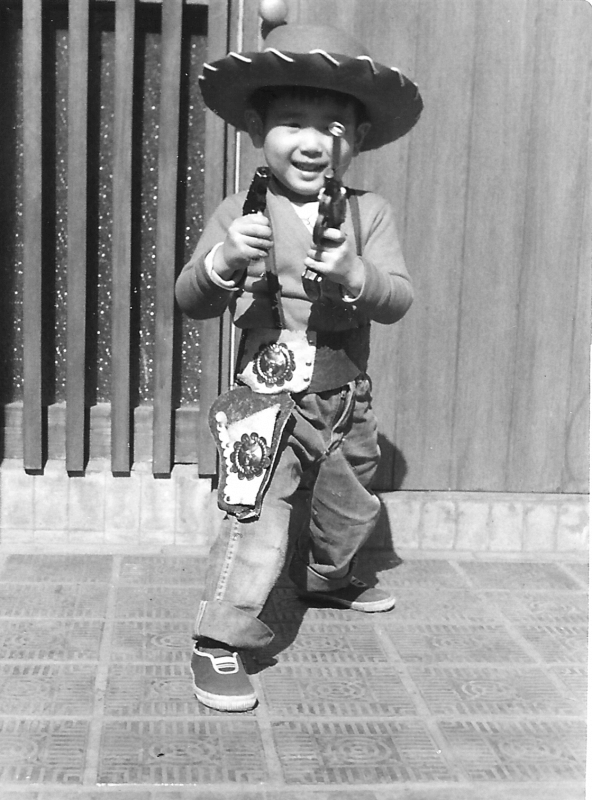 But we still lived a bicultural life – American outside at school and work and play, and Japanese in the house. We took off our shoes, had dinner promptly at 5 pm (that’s a military thing) and my brother and I made our damned beds and pretended to clean our room. My mom cooked Japanese and American food. Even when we had western fare like spaghetti, she made salmon for herself. And no matter what, we had rice – rice with hamburgers, rice with steak, rice with … yes, spaghetti. Of course, we had rice with all the Japanese dishes she cooked too. This was the background I had inside me when I went off to art school in New York City. There, I was faced with noticing my identity for the first time – as an artist. I was approached by a Japanese sculptor to join a group of Japanese artists. I was part of the group for a while and participated in a gallery show in SoHo (true story: the playwright Edward Albee bought one of my paintings! ), but I dropped out because I felt a bit uncomfortable, since I couldn’t speak Japanese and most of the others could. Fast forward to after college, when I became a writer instead of an artist, and pursued a career in journalism. I never thought about covering “my” community, though. I wrote about rock music, folk music, country music, blues… never Japanese music (even though I grew up with and loved Japanese folksongs and enka). I was, well, a banana. That blew my mind. After he died in 1991, I interviewed his sisters about their life in Japan, and began researching the US Occupation of Japan, which ran from 1945-1952, the start of the Korean War. I later wrote about a trip to Japan to search for my family roots. I became more interested in my Japanese side. By the late 1990s, I was writing a weekly column for Denver’s Japanese community newspaper, just thoughts on my childhood and flashes of Japanese culture in my life. Because my weekly newspaper columns were a volunteer project and I owned my content, I began putting them on a simple website once I embraced the Internet. And when blogging came around, I converted my online columns to this blog, nikkeiview.com. Over the years I’ve expanded to write a lot about Asian American and Pacific Islander (AAPI) issues of identity, culture and racism (an especially important topic today). But I try to keep things from my personal perspective and experience, and write with a conversational voice, something I developed over the years as a rock critic. 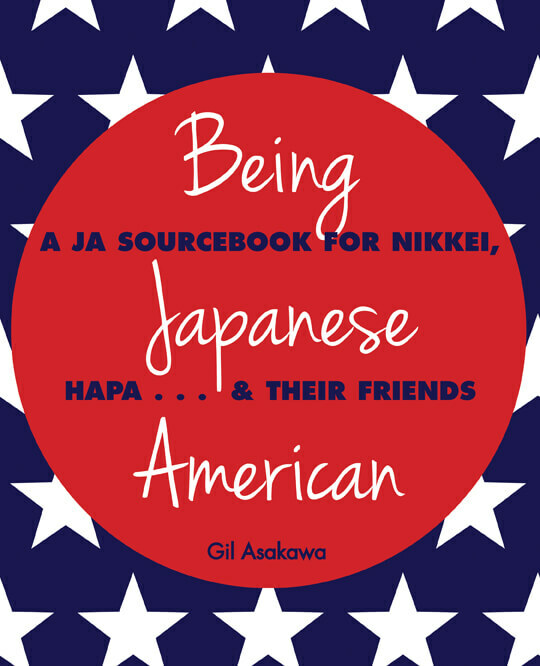 My blog led to my book, “Being Japanese American” (Stone Bridge Press, second edition 2014). The publisher specializes in books about Japan and was looking for a Japanese American book idea. They found my Nikkei View blog and asked me to write the book. Way back in 1991, I co-authored a fun book about toys of the baby-boom generation (“The Toy Book,” Alfred Knopf), but this was different. Being JA is a mix of personal stories and research, as well as the voices of other Nikkei (including some Japanese Canadians) with short anecdotes in the margins. It was originally published in 2004, and Stone Bridge published an updated version in 2014. It’s been a blast because it establishes me as a legitimate voice for AAPIs. It‘s also a great calling card for meeting Nikkei everywhere. I’ve done book readings from New York to San Francisco, and even in Tokyo, to an audience that included three former Japanese ambassadors to the US! I’m lucky. I didn’t have to struggle to come up with an idea and struggle to pitch the idea to an agent, or to a publisher. The book came to me. But I had spent a career setting the foundations for it, by becoming a writer, honing my skills, embracing the Internet early and establishing a reputation as a digital media pioneer, launching a blog, and promoting myself on social media. Now, I put a lot of effort into doing the things that I can write about: being part of the local JA and AAPI communities, covering AAPI issues for clients including AARP and the Go For Broke National Education Center, participating in organizations including JACL, Japan America Society, US-Japan Council and Asian American Journalists Association. I’ll always have plenty of material to share on social media and write about in my blog, and hopefully, more books in the future!